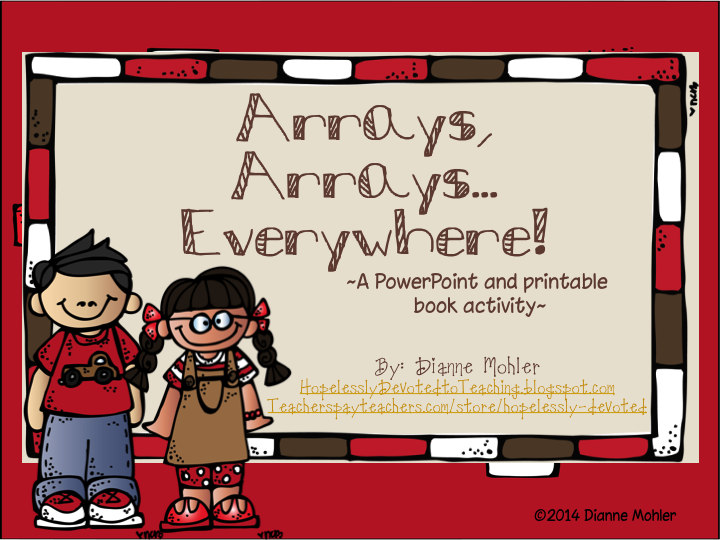 Tech Teacher Tidbits: Arrays, Arrays! I don't know about you but I've got the Sunday Night blues...doubly hard because it's the end of winter break. On the bright side, my plans are done (mostly) and my homework packets are ready. As I was thinking about my math plans, I started to focus on the foundations of multiplication. 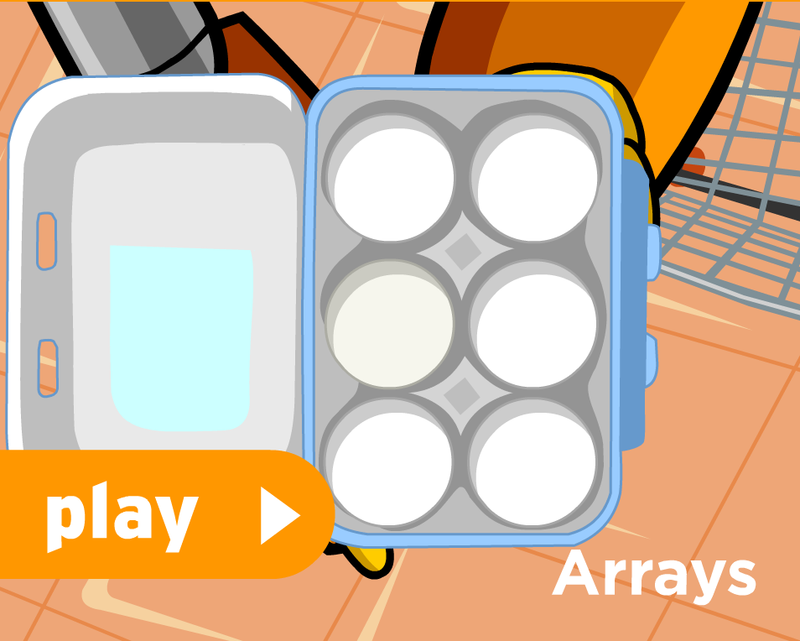 This week, I will be teaching the kiddos about arrays. While most of the kids are super excited to start learning about multiplication, many of them truly struggle with the concept. In second grade, we are responsible for teaching them that arrays are a useful tool to help them solve problems with equal groups. We really only need to go as far as repeated addition but I like to show the multiplication fact with the repeated addition sentence to get them used to what it looks like. I thought I'd start with this Brain Pop, Jr. video. This is, by far, one of my favorite resources. It is a paid subscription but well worth the cost if you can swing it. They do have a small free library but for me, it just wasn't enough. The other part of my math plans for this week include this power point and booklet that I created to help the kiddos with their arrays. I knew that I needed to make that real life connection for them and I knew it had to be visual. My plan is to project a slide and have the kiddos write an addition sentence on their small whiteboards. Then, we will add it to the power point. For the higher learners, they can also write the multiplication fact that matches the picture. I'm a big believer in the "I Do, We Do, You Do' approach so we will start small. To provide further practice for the kiddos, I created this little booklet. We will use stickers to build arrays and then write the matching addition/multiplication sentences. 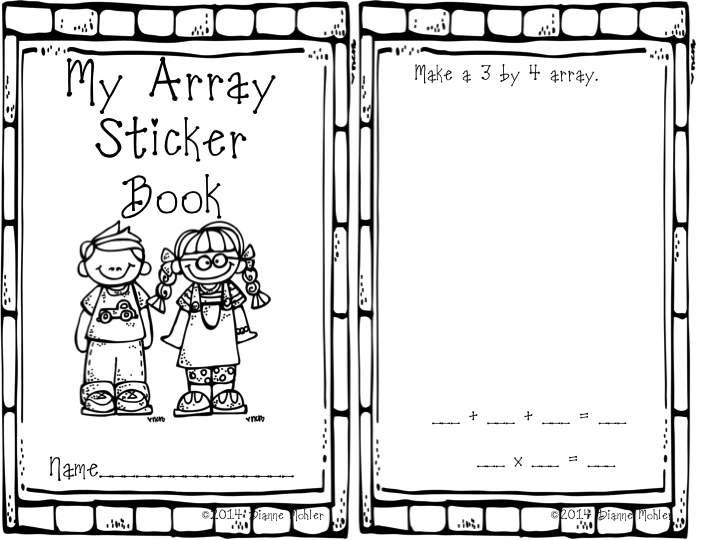 You could also use stamps or draw the array. My kiddos love to use the Scento markers! If you think this is something you might be interested in, please click on either of the pictures above. They will take you straight to my TpT store. As this is a very new journey for me, I'd love any and all feedback. Thank you so much!